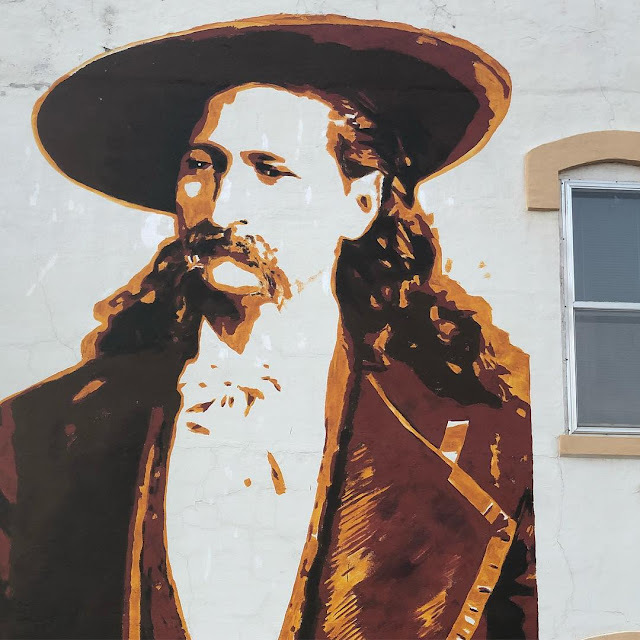 RETRO KIMMER'S BLOG: WILD BILL HICKOK MURDERED IN DEADWOOD! “Wild Bill” Hickok, one of the greatest gunfighters of the American West, is murdered in Deadwood, South Dakota. 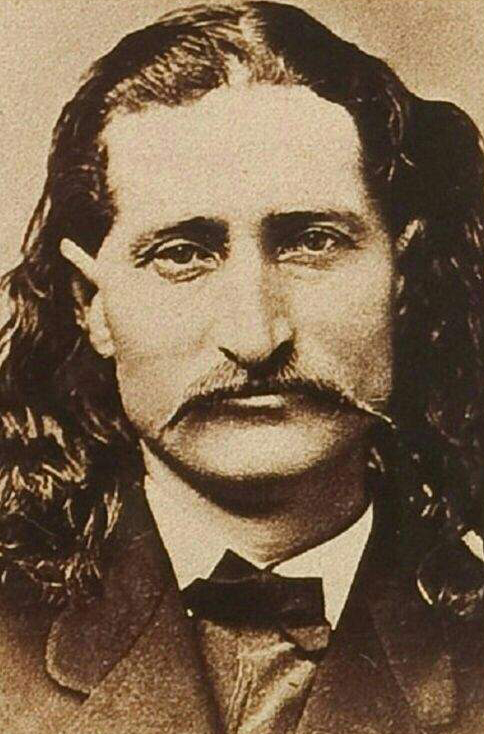 Born in Illinois in 1837, James Butler “Wild Bill” Hickok first gained notoriety as a gunfighter in 1861 when he coolly shot three men who were trying to kill him. A highly sensationalized account of the gunfight appeared six years later in the popular periodical Harper’s New Monthly Magazine, sparking Hickok’s rise to national fame. 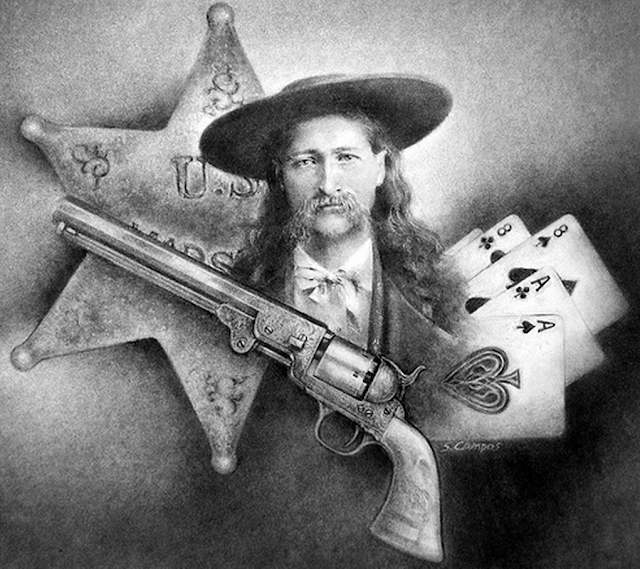 Other articles and books followed, and though his prowess was often exaggerated, Hickok did earn his reputation with a string of impressive gunfights. 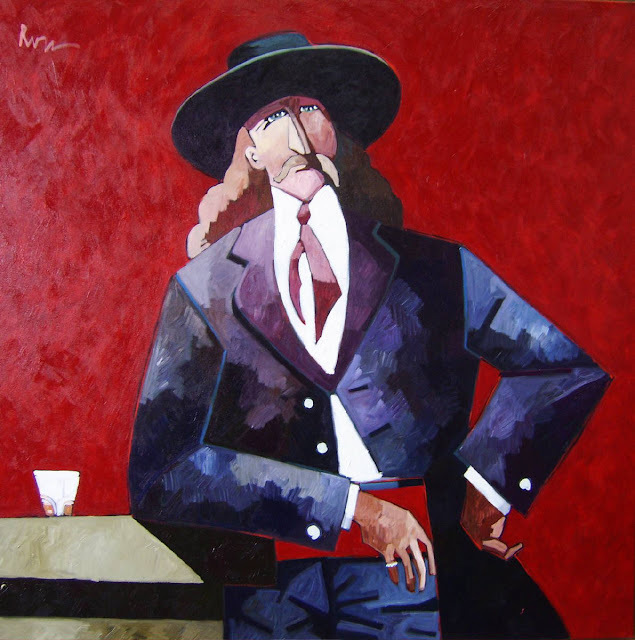 Artist: Thom Ross "Wild Bill Hickok; The Red Sash" James Butler "Wild Bill" Hickok was known as a dandy and a fancy dresser. There are numerous photographs of him dressed in a wide variety of snazzy clothes. He wore his brace of pistols in the reverse or "cavalry style," which meant butts forward, draw. These pistols were held in place by a red sash he wore around his waist. Though his pistols do not appear here, you can see his red sash and his coat under which they are concealed. After accidentally killing his deputy during an 1871 shootout in Abilene, Texas, Hickok never fought another gun battle. For the next several years he lived off his famous reputation, appearing as himself in Buffalo Bill Cody’s Wild West show. Occasionally, he worked as guide for wealthy hunters. His renowned eyesight began to fail, and for a time he was reduced to wandering the West trying to make a living as a gambler. Several times he was arrested for vagrancy. In the spring of 1876, Hickok arrived in the Black Hills mining town of Deadwood, South Dakota. There he became a regular at the poker tables of the No. 10 Saloon, eking out a meager existence as a card player. On this day in 1876, Hickok was playing cards with his back to the saloon door. At 4:15 in the afternoon, a young gunslinger named Jack McCall walked into the saloon, approached Hickok from behind, and shot him in the back of the head. Hickok died immediately. McCall tried to shoot others in the crowd, but amazingly, all of the remaining cartridges in his pistol were duds. McCall was later tried, convicted, and hanged.